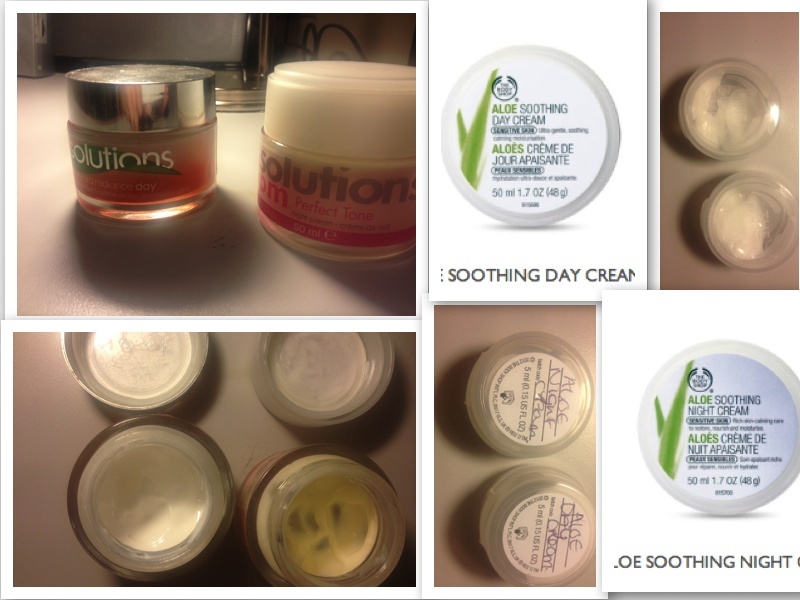 Im not great with beauty products and sticking to using them however i do try and use my day and night creams daily. My nana always says you should alwaysss use moisturiser every day no matter what ! i have quiet sensitive skin and im unable to use 'cheap' products and im apprehensive about using new products so i stick to Avon usually as i am used to using their products however i wanted to try something new so i went to Body shop knowing they have a sensitive skin rage named Aloe soothing. i was still a bit unsure of how i felt about buying something then being unable to use it so the lady at the counter offered me some samples :D (great service). BodyShop- a bit higher priced ! a but quiet light on skin, enjoyed trying them out and plan on maybe buying them once my creams run out, (nearly there) also want to try out other products from this range .. i shall ask for more free samples :D they smell quiet fresh as well and i can not feel them once i have rubbed in to my skin unlike the avon where i can tell i have the cream on for a little while after.